Unprotected sun exposure will make your acne worse… but using sunscreen can also do the exact same thing. Sunscreen and acne, It’s a catch 22. Use no sunscreen and your acne gets worse. Use sunscreen and your acne gets worse. 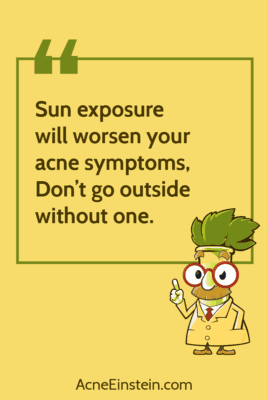 But… use the right sunscreen – a sunscreen that won’t cause acne – and not only can your acne be protected against inflammation worsening sunlight, it can also help your acne get better. The secret is this: Ditch chemical sunscreens. Use only physical non-comedogenic sunscreens. 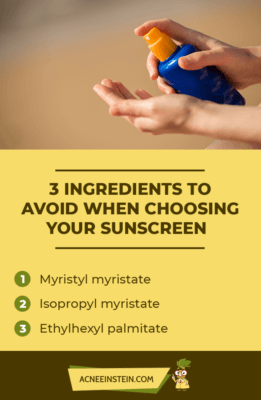 Do not worry if these words sound unfamiliar to you, by the end of this article you’ll know exactly how to choose the best sunscreen for acne prone skin, which sunscreen ingredients to avoid like the plague and exactly what SPF is the best choice. For those of us who have acne, our skin type is especially sensitive. Acne is an inflammatory skin disorder, meaning our skin likes to get pink, red and angry quickly. What you see as a spot, cyst or pustule is your skin’s immune function causing an inflammatory skin reaction. The best sunscreens for acne prone skin are especially sensitive, mineral based formulas – meaning they are physical sunblocks. Soon we’ll explain exactly what this means. High SPF, zero to minimal white cast, blue light protection, high UVA protection. A mineral sunscreen with almost zero white cast – trust us they’re hard to find. Not only is Murad’s City Block an extremely light weight, easy to rub in fluid, it also has high protection against all types of irritating light pollution – blue light (from digital devices), UVA, UVB, IR. It’s non-greasy, fast absorbing, non-comedogenic, fragrance free, sensitive skin friendly. All best sunscreen for oily, acne prone skin boxes are ticked – while it’s pricey the ease of use and high protection are worth it. Bonus: Murad’s city block also helps protect your skin against pollution damage, a key suspected cause of oilier skin and altered sebum production – both of which cause acne. Oil free, silicone free, mattifying and natural. Derma E’s Antioxidant SPF30 is fantastic for oily, acne prone skin types. Effectiveness relies solely on 20% zinc oxide – a physical sunblock. Zinc is a perfect ingredient for oily skin types because studies show zinc’s able to help reduce your skin’s oil/sebum production. 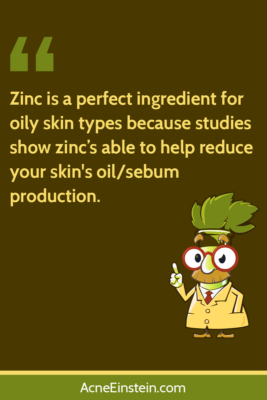 If you want to read more about zinc and acne you can click here. Note: After application you may experience slight white cast. As you can see from this video, it fades fast. Tinted formula for medium skin tones, high SPF, with nicotinamid known to help fight acne. SunSense sensitive matte formula makes the perfect pick for acne prone skin types. It’s sensitive skin friendly, free from commonly used comedogenic skin care ingredients e.g. Isopropyl palmitate and has an added tint to help eliminate white cast. Fragrance free, oil free, high SPF, water resistant, sensitive skin friendly. 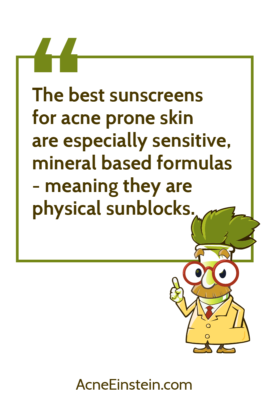 Aveeno is a skin care brand whose defining difference is their use of oat extracts to help treat sensitive skin types, so it comes as no surprise their oil free mineral sunscreen is a winner for problematic skin. Irritation will make your acne worse, however anti-inflammatory oat extracts can help do the exact opposite. How? By calming symptoms of inflammatory skin conditions i.e. acne. Fragrance free, oil free, extremely easy reapplication, non-greasy. Surprise – sunblock does not have to arrive as a greasy cream. In fact, sunblock ingredients are solid particles so they can perfectly be used in face powders or brush on blocks. If you’ve applied makeup after sunscreen, brush on block makes for a perfect reapplication. No-one takes sunscreen more seriously than the Ozzies. This is a great general, purse-friendly choice for acne prone skin using a combination of zinc oxide, titanium dioxide plus all-natural ingredients with added SPF benefits. Want a simplified skin care routine for acne prone skin? Is your complexion unable to handle multiple-products? Want to be sure you’re using SPF protection 356 days a year? The best SPF moisturizers for acne prone skin can do all of the above. They’re non-comedogenic, mineral based, at least SPF 30 and much, much easier to use than mineral sunscreens i.e. white cast and absorbability are usually not an issue. Lightly tinted, fragrance free, non-comedogenic, anti-ageing, best absorbability, zero white-cast. This has to be the easiest to use, best SPF moisturizer for acne prone skin. There’s absolutely no white cast, the formula is free from fragrance (fragrance can irritate acne prone skin), full of antioxidants (protects your sebum against oxidation – a cause of acne) and dries to a soft, matt finish – a must have for oily/combination skin types. Fragrance free, sensitive skin friendly, redness relieving, easy to use. Paula’s choice really do blow it out of the park when it comes to finding a best SPF moisturizer for acne prone skin. This formula has minimal white cast, is lightly moisturizing, non-comedogenic and helps relieve pesky, inflammatory redness caused by acne. Natural, organic, oil free, non-comedogenic. Designed for blemish prone skin types, you can be sure Juice Beauty’s SPF 30 oil free moisturizer is a tried and tested non-comedogenic sunscreen. This formula is is bursting with naturals plus it’s also full of antioxidants – ingredients which stop your skin’s natural oils from becoming comedogenic, which would worsen your acne. How do I choose the best sunscreen for my skin? Chemical sunscreen filters absorb skin damaging UV light before your skin can, whereas physical sunscreen filters have the ability to reflect it away. While chemical sunscreen filters also known as organic sunscreen filters are very effective, they can have side effects for your acne prone skin. An chemical sunscreen works by absorbing UV light and is sacrificed during this process. When chemical sunscreens, such as oxybenzone,protect your skin, specific molecular bonds/moieties are able to react with photons of light and preventing them from reacting with your skin. This reaction releases heat energy, in addition to being a key cause of photoallergy. Essentially chemical sunscreens have the potential to aggravate, sensitize and inflame your acne prone skin. Yes, chemical based sunscreens have potential to flare your acne. 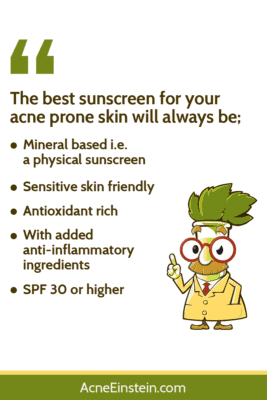 Why take the risk when instead you can use a perfect for acne prone skin physical sunscreen. The most common physical sunscreen ingredient is zinc oxide – a sunscreen ingredient with more than just sun protection benefits for acne prone skin. In addition to being sensitive skin friendly, zinc may help reduce sebum production in addition to helping skin heal – it’s key in helping your skin process vitamin A, which is the vitamin (as retinoic acid) clinically proven to help resolve acne. Yes, physical sunscreens can help prevent UV oxidation of skin lipids into highly comedogenic actives, in addition to preventing UV caused inflammation. Acne is an inflammatory skin condition therefore sunscreens with additional anti-inflammatory ingredients are especially helpful. What SPF do you really need? You’ve picked up a great mineral sunscreen – fantastic. Now you’ll also want to be sure it has a minimum SPF of 30. This is the dermatologist recommended gold standard for effective sun protection. Sunlight can quickly cause oxidation of your skin’s sebum turning it from helpful to highly comedogenic – acne causing. 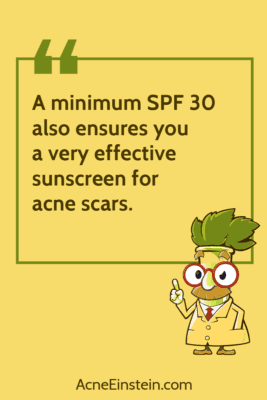 Bonus: A minimum SPF 30 also ensures you a very effective sunscreen for acne scars. This level of sun protection will help you stop common, sun induced darkening of post inflammatory hyperpigmentation. Meaning that the dark marks left behind after an acne spot have healed. The science bit: SPF simply stands for sun protection factor. Take SPF 30 as an example, say it takes your acne prone skin 10 minutes to burn without sunscreen in direct sunlight – using SPF 30 will protect your skin against burn for 30 times longer i.e. you’d be able to enjoy the sun worry free for up to 300 minutes. It also means only 1 in every 30 UV rays gets to interact with your skin giving you a reliable and effective UV protection level of 97%. See either of these 2 listed under ‘active ingredients’ on a sunscreen label and you’re in the safe and clear… almost – be sure to read this next bit on what to avoid. These are 3 highly comedogenic skin care ingredients, commonly used as solvents i.e. ingredients which make the sunscreen easier to apply. When found at the top of your sunscreens ingredient list they have strong potential to worsen your acne. In general alcohol or denatured alcohol is often used in sunscreens to improve it’s spreadability and absorption. Although it is commonly used, alcohol de-greases your skin and often cause dryness and irritation. Choosing a 100% mineral protecting sunscreen will also make sure you’re sunscreens free from photoallergy causing and therefore acne worsening chemical sunscreen filters like oxybenzone aka benzophenone-3. Pro-tip: Don’t believe once-a-day sun protection claims. 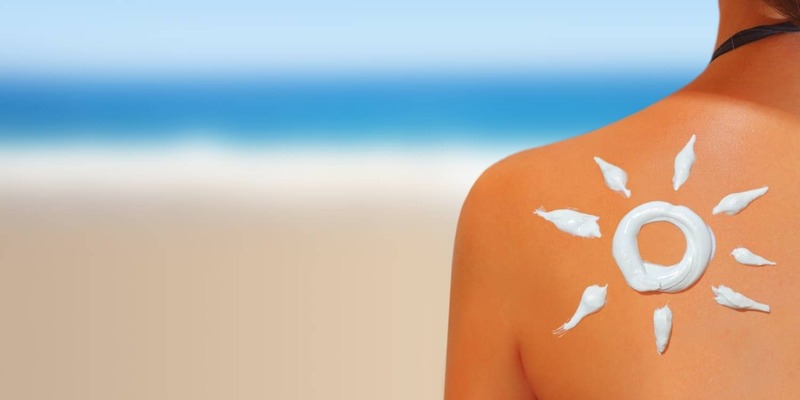 Sun protection can be used up faster in direct sunlight, rubbed away or sweated off. Should you buy waterproof sunscreen? In one word – yes, so long as your waterproof sunscreen ticks all of the best sunscreen for acne prone skin boxes first. Waterproof sunscreens help your sunscreen be most effective whether playing sport, having a water fight or swimming. However rather than the claim waterproof, what you’re most likely to find is a sunscreen which claims to be water resistant – as in the recommendations you find here. These words are a much fairer description of what a sunscreen can offer your skin. No sunscreen can be 100% waterproof, but instead they absolutely can be water resistant. Truth – some natural ingredients have an SPF-like effect. Studies show raspberry seed oil can have an SPF of up to 28 against UVB light but has minimal protection against UVA light. Acai oil, buriti oil and andiroba oil have an SPF of 1. Shea butter with a specifically high triterpene content has an SPF of 3 to 4. Coconut oil an SPF of 8. However use these natural oils to make DIY sunscreens and you will never be sure of the SPF you’ve created. 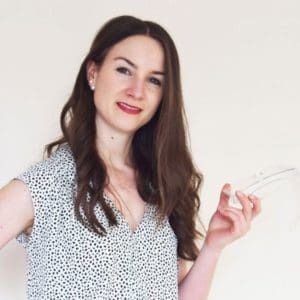 Creating a sunscreen with SPF 30 is not as simple as using ingredients with SPF 30 – which when it comes to natural oils are very hard to come by. Instead sunscreen efficacy also depends on how well a formula spreads onto your skin, how well it’s retained in the top layers of your skin and how well it resists rubbing off. Note: This can change every time you DIY make a sunscreen formula even though the ingredients you’re using are the same. The best natural sunscreens for acne prone skin are tested by independent laboratories to confirm their SPF effects. For example Derma E’s Skin Care Oil Free Face Antioxidant Spf 30 or Australian Gold’s Botanical Sunscreen Mineral Lotion, Non-Greasy, SPF 30. Don’t risk it. Stay skin safe. Use SPF proven and pre-made natural sunscreen. Acne is an inflammatory skin condition so any skin care product or environmental stressor which causes your skin more inflammation will make your acne worse. Your skin’s sebum is naturally designed to help protect skin – however there’s only so much it can take. Take squalene for instance, it’s a major constituent of your skin’s sebum making up around 13% of your skin’s natural oils. On exposure to excessive amounts of UV light it oxidises into squalene monohydroperoxide a highly comedogenic, inflammation causing and acne worsening ingredient. Antioxidants help your skin resist the damaging effects of sun exposure i.e. they help stop skin lipids like squalane from ‘going off’. When your sebum loses precious antioxidants, it becomes prone to oxidation and therefore can become acne worsening. Remember those dark marks acne spots leave behind? Dermatologists call this post-inflammatory hyperpigmentation (PIH) i.e. acne scarring. This darkening of skin is caused by the exact same pigments which give your skin tone colour. Skin creates more of these ingredients in areas it thinks need extra protection. It’s the reason you get a tan. Exposing your acne prone skin to sunlight without sun protection will cause you darker and more noticeable PIH and acne scarring. We’ve just mentioned 4 impelling reasons why you should avoid leaving your house without any sunscreen on. So go on, find the best fit for your sensitive acne prone skin and you are prepared to enjoy the sunlight! Paula’s Choice has TWO different Calm Redness Relief SPF 30 moisturizers – the one for combination/oily skin DOES contain ethylhexyl palmitate, whereas the one for normal/dry skin does not. Thank you for the heads up, we’ve updated the link to the accurate one!